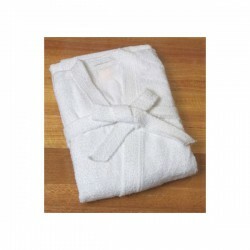 Embroidered bath robes can be used as corporate or executive gifts. 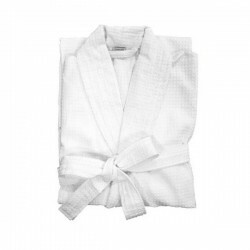 A nice and thoughtful promotional gift would be these embroidered bath robes. Unique and stylish, they leave a lasting mark and certainly effective in impressing your top clients. These promo bathrobes also make great business gifts to loyal customer and incentive rewards to productive employees. Promotional Product Experts has been in the business for over 20 years and is considered to be the top online branded merchandise distributor in Australia. To learn more about our merchandise, prices and customization process, feel free to contact our sales team. 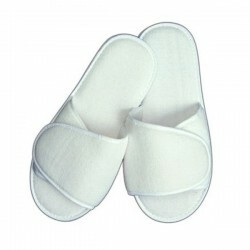 Slipper for spa and resort. 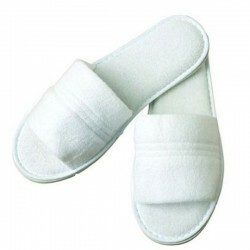 Slipper for spa and resort. Easy velcro fastening for easy print or embroidery. Luxurious terry bath robe with kimono styling. 450 gm2 One size fits most. Pockets and belt with tabs. Luxurious waffle bath robe. Luxurious waffle bath robe with kimono styling. 380 gm2 One size fits most. Pockets and belt with tabs. Coral Fleece Hooded bath robe. The softest, most luxurious bath robe you will find. One size fits most. Beatiful hood, pockets and belt with tabs.